In late September 2018 alumni of the Fulbright Visiting Graduate Program Anna Yevtyugina, Elena Katykina and Natalya Borisenko hosted an open talk "International Experience for Careers in Art Management and Art" in Gallery 21 at Winzavod. The speakers shared their first-hand experience of study and work in the U.S. cultural institutions and discussed how international exchange affects professional development of cultural managers and artists. The event was sponsored by the Fulbright Small Grants program, supported by the Moscow Fulbright office. Elena Katykina, VGS 2015-16 alumna, went over specifics of American education system, such as applicability, personal approach and career-orientedness. First of all, most professors are not theorists but practitioners and they share professional insights. All study projects are based on real professional cases that help conduct theoretical knowledge into practical field and eventually make a successful portfolio. Team projects develop collaboration skills, sharing responsibility, sticking to deadlines, and evaluating each member's input. Second of all, students can choose selective courses and thus narrow down their professional interests. Professors treat students as future professionals and stimulate them to be outspoken in sharing their opinions. And finally, the system contributes resources into finding the future graduate a placement. Career counselling department helps with designing a CV, finding internships, networking, and setting up visits to institutions. They teach professional ethics, networking and learning from alumni as a form of professional mentorship. Elena also told about her work in the Smithsonian National Museum of American History in Washington and in the IU African American Arts Institute, as well as her participation in the African American Choral Ensemble as part of her musical theatre courses. Natalia Borisenko, VGS 2014-15 alumna, talked about the Art faculty and projects she worked on in New York's art organization "Art in General". Natalia focused on three major points: study program for arts specialities (the structure of classes, group critique of work, individual sessions with professors and art critics, lectures by visiting specialists), students' projects (tests and exhibitions, final graduation exhibition and creating a personal monograph), career development (workshops, additional training, networking, internships in art companies and collaborations with other arts specialists). Admission into arts disciplines was also discussed, along with portfolio management and placement. Art education in the U.S. has a more practical orientation than its counterpart in Russia. Such approach allows artists to start interacting at an early stage of their career and achieve more in shorter time. Researching your discipline, establishing contacts with peers, taking part in contests and open projects - these are all important skills for an art professional. Natalie shared her experience in landing an internship and on the benefits of her work in "Art in General"; how she set up two exhibitions and a charity auction, and revealed the main secret of fundraising and partnerships with other art organizations. Anna Yevtyugina, VGS 2015-16 alumna, talked about producing personal independent projects and about art manager's and artist's active position. She shed some light on modern art projects in San Jose Museum of Art, Pictura Gallery, Salamatina Gallery and Relik Collective. Anna mentioned how international experience taught her to take a more active position, use fundraising instruments, manager her finances personally and develop international contacts. In her work Anna collaborated with artists and learned that not only should they rely on art managers but to create their own infrastructure and enterprise, develop their administrative and self-promotion skills, such as drafting grant proposals, professional correspondence, online and social media presence. Additionally, Anna noted a shift in how she viewed the function of art, how it can be not only "artistic" but also practical. Such mentality was influenced by her interest in placemaking. Thus, many artists in the U.S. are involved in design of the comfortable urban environment: sell their works at city festivals, create art objects and use performance practices in public spaces. In that way art directly affects regional economy. One of the projects that Anna produced was a photoseries by the SCAN artist Nikita Shokhov, exhibited in the Moscow Museum in Kuzminki in September 12-28, 2018 with support of the Fulbright program. 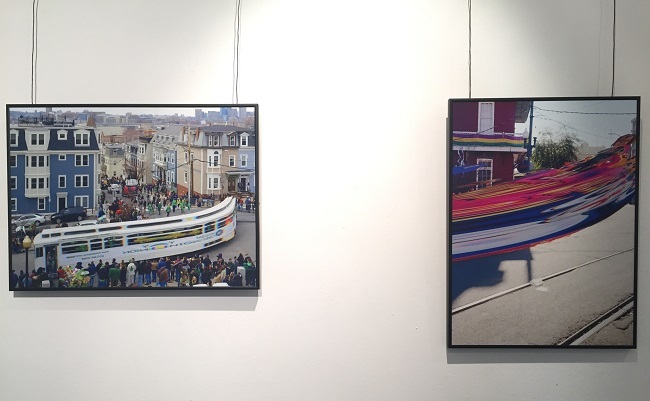 The photoseries highlighted the U.S. culture of carnivals and parades in a unique technique of digital scanning. Photos were taken in Chicago, New Orlean, New York, Washington, Boston and Seattle.